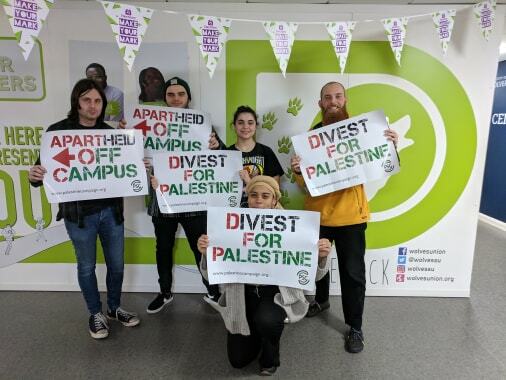 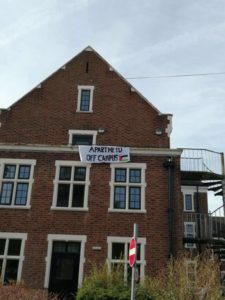 On Wednesday 20th March, during Israeli Apartheid Week 2019, students at over 30 UK universities are taking action on their campuses to demand that their institutions get #ApartheidOffCampus and #StopArmingColonialism by ending their complicity in Israel’s apartheid regime. 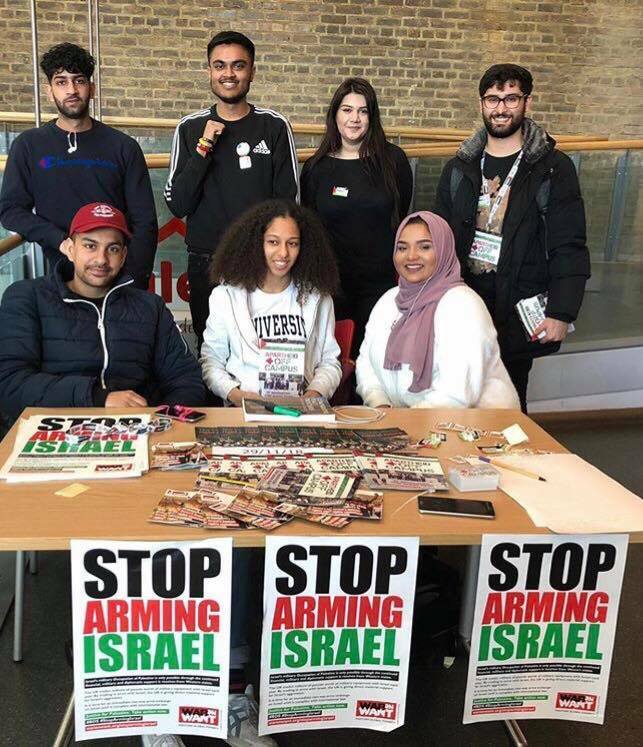 Throughout the day we will be updating this page to post the latest news and events from students taking action across the country. 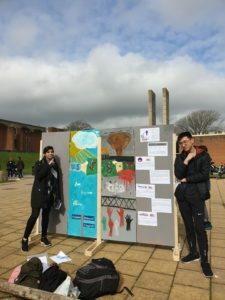 To support students in their action, please get involved with our Twitter storm! 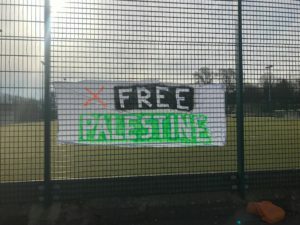 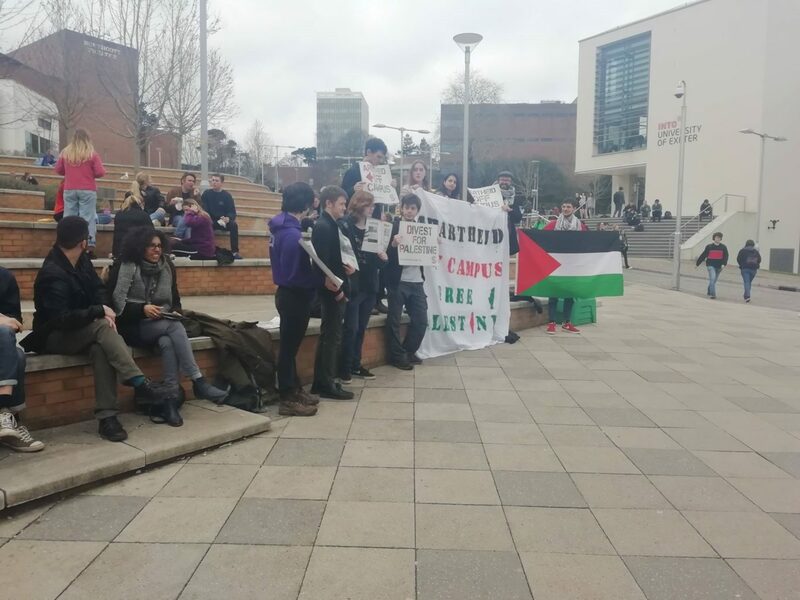 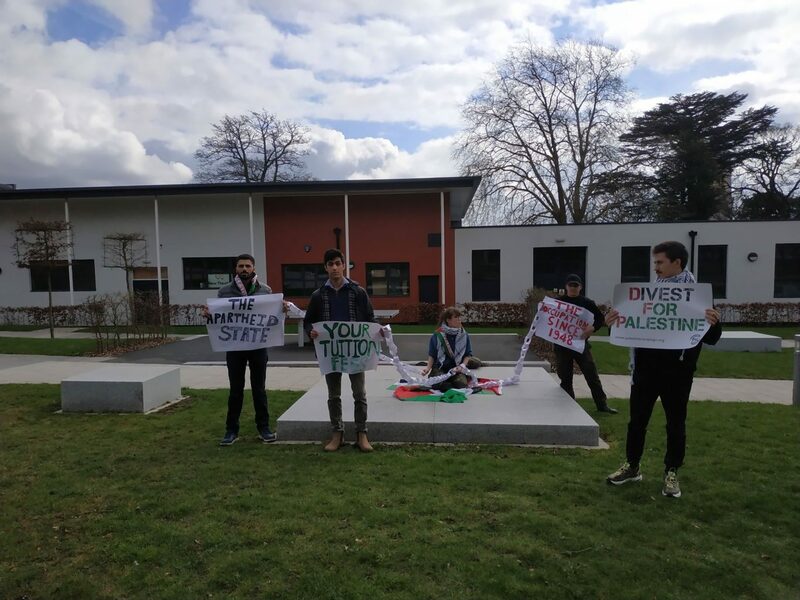 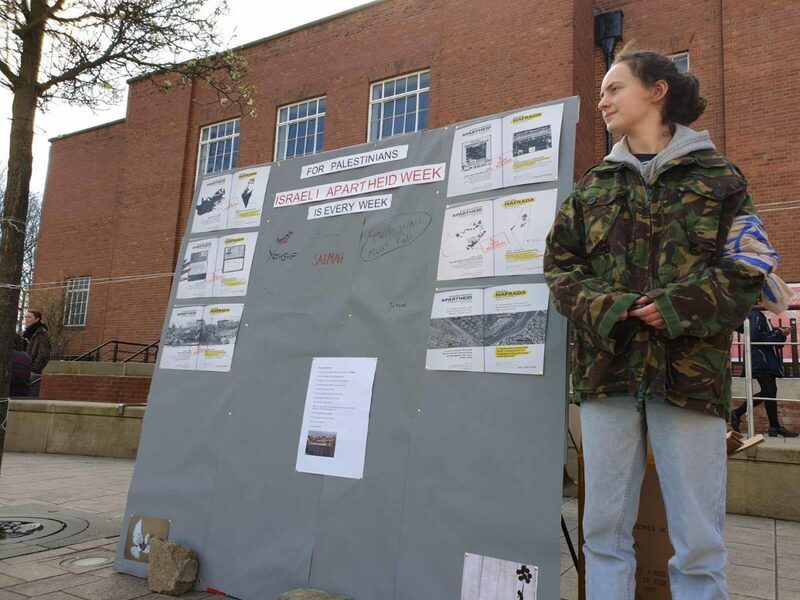 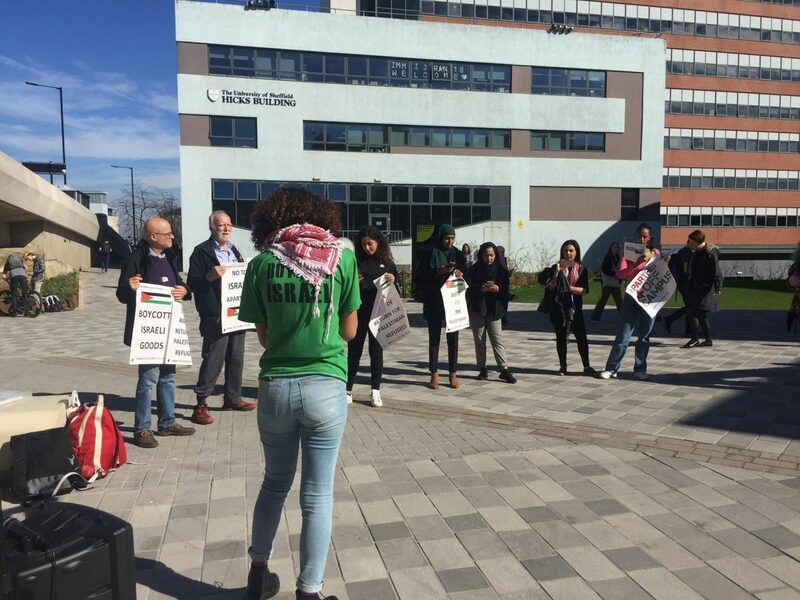 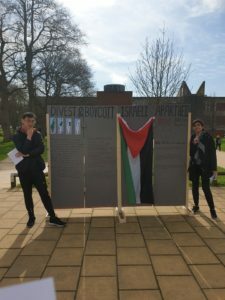 Essex students hold a mock checkpoint at their university to show the reality of Israeli apartheid and to call for their university to get #ApartheidOffCampus ! 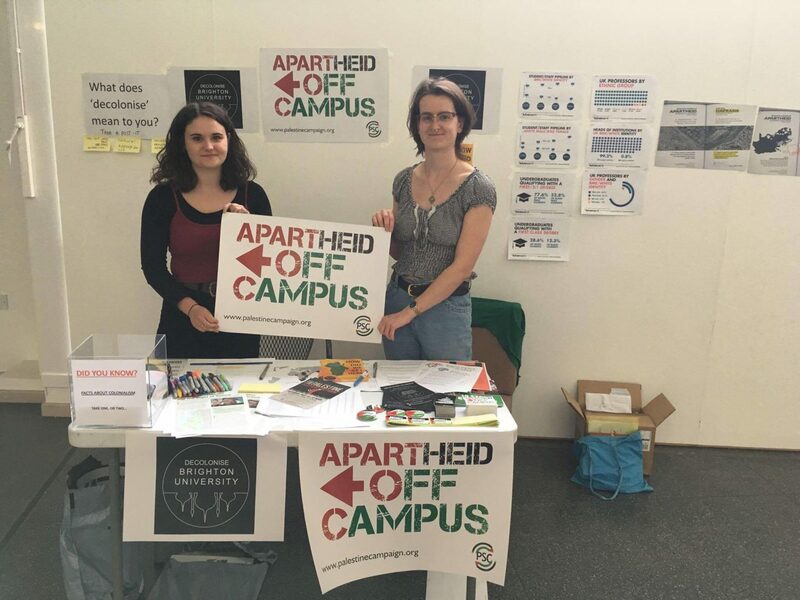 Brighton students are talking to others about the importance of #ApartheidOffCampus in order to decolonise UK universities! 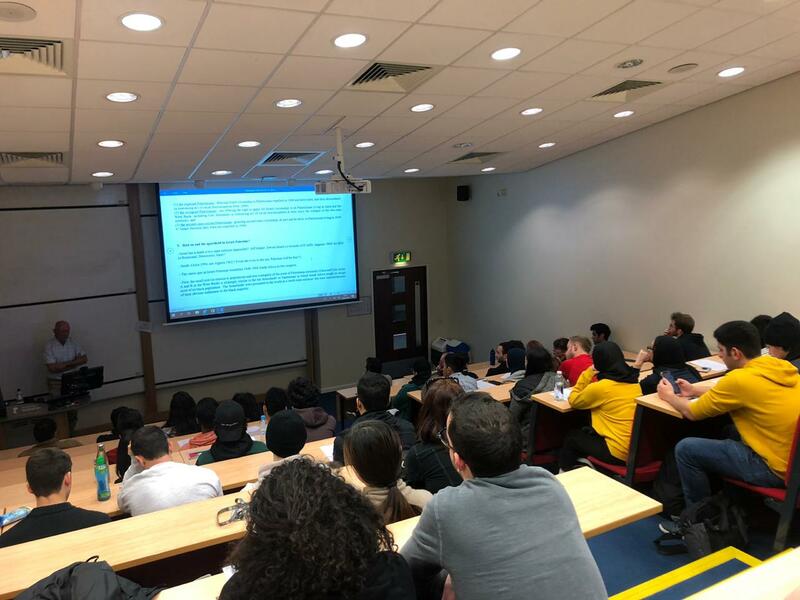 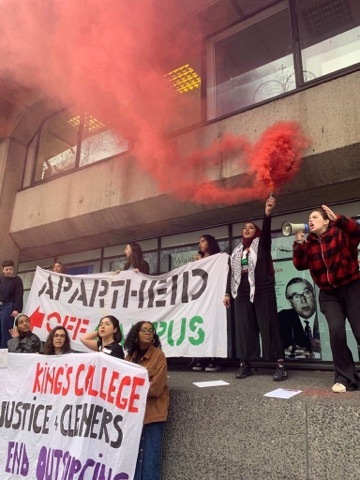 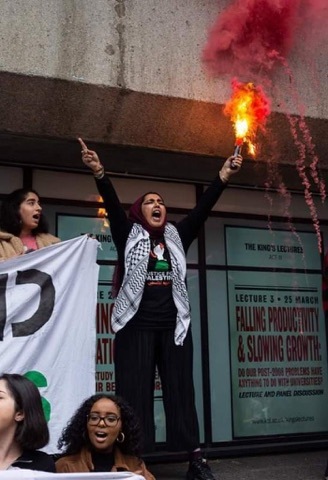 Students at KCL remain undeterred by their university attempts to crackdown on student activism, and are protesting KCL to end their partnership with Technion, Israel’s leading research and development institution for Israel’s arms trade. 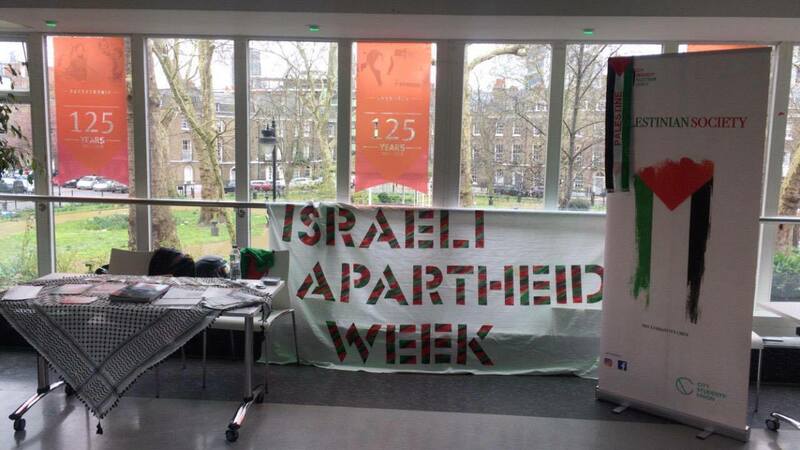 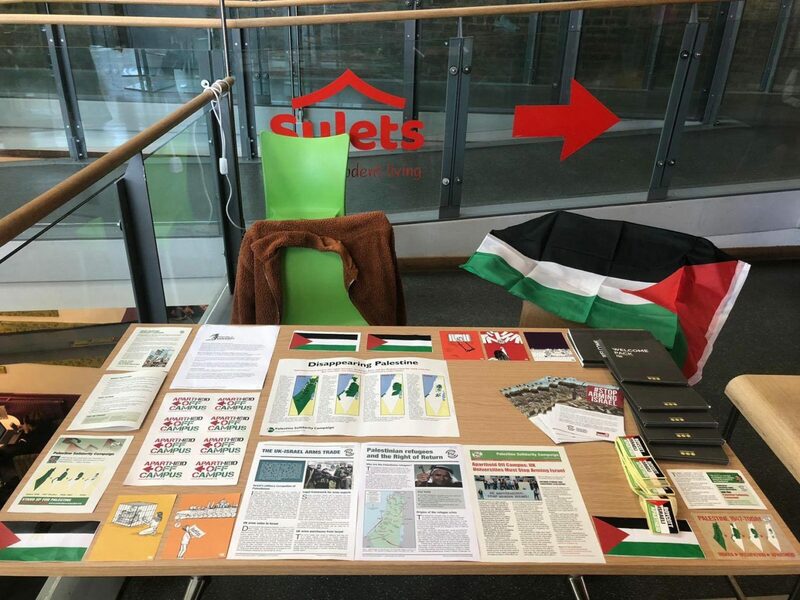 Students at City university host a stall to build their campaign for #ApartheidOffCampus ! 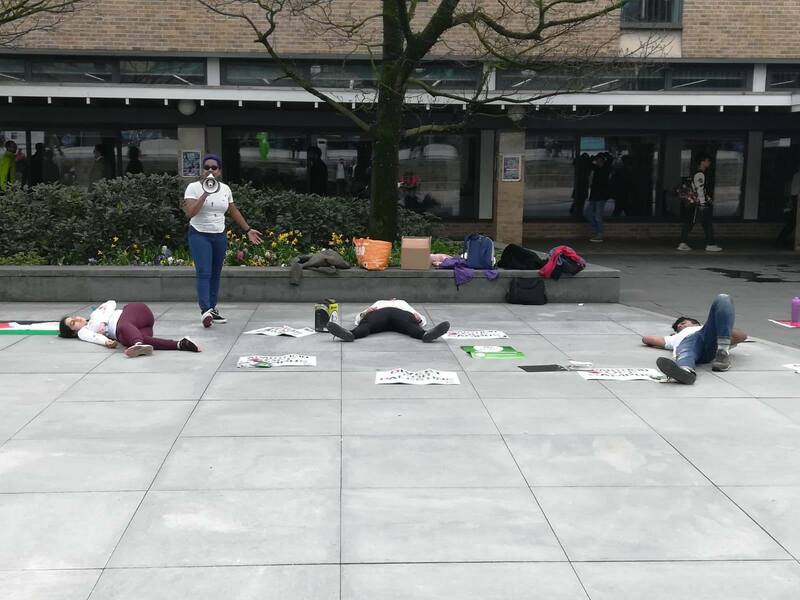 Lancaster students perform a die-in to protest their university’s investments in BAE systems and HSBC. 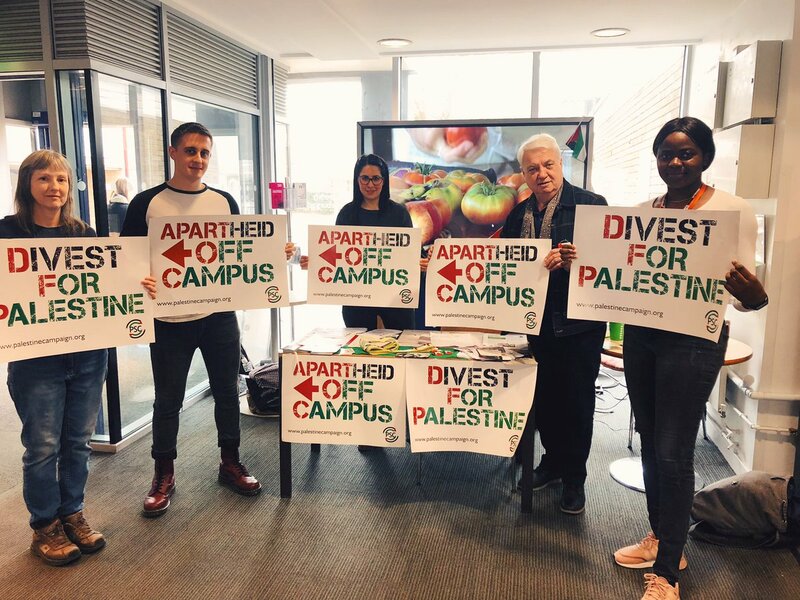 They’re calling for #ApartheidOffCampus ! 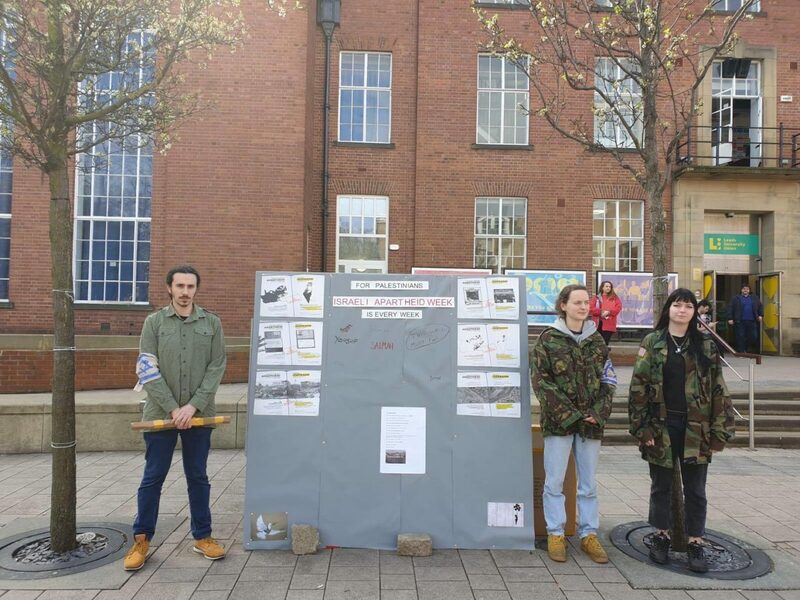 Wolverhampton students have been postering and holding a demo at their SU! 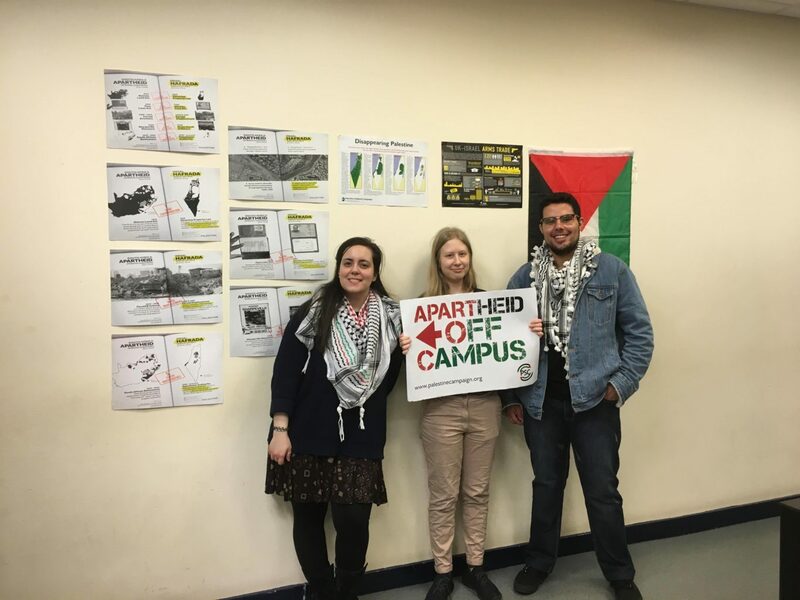 They’ll be hosting a meeting later on to discuss how to build their #ApartheidOffCampus campaign! 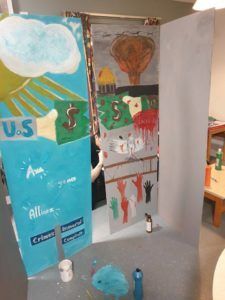 Students at Leeds university have began their day of action with a mock apartheid wall and checkpoint, building their campaign for #ApartheidOffCampus! 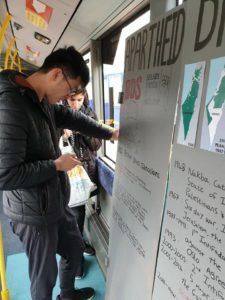 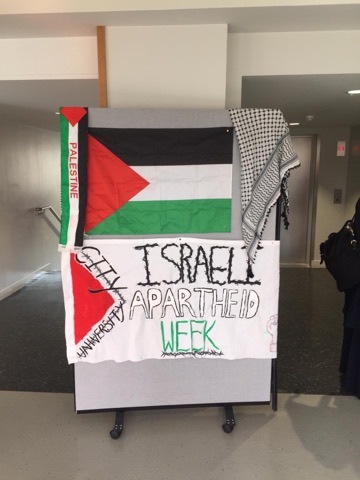 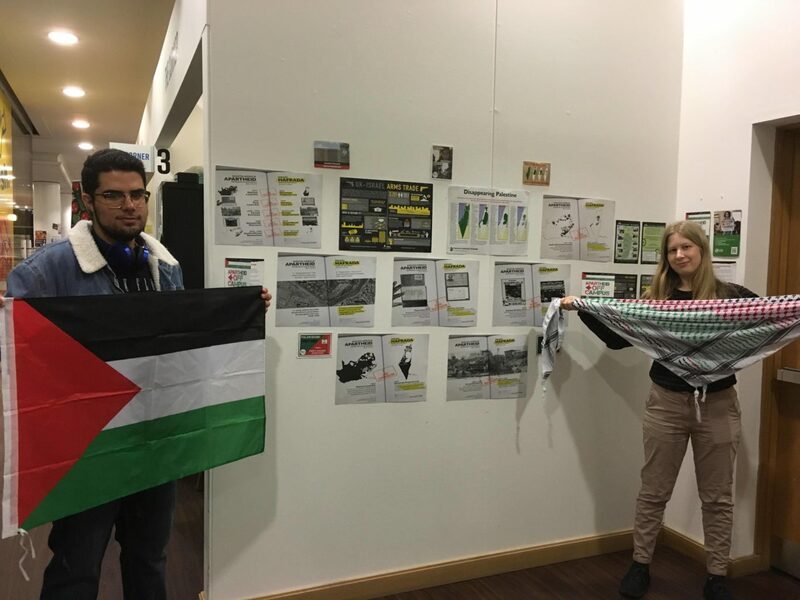 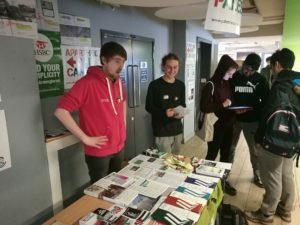 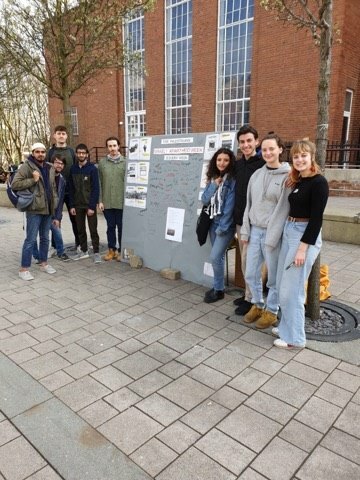 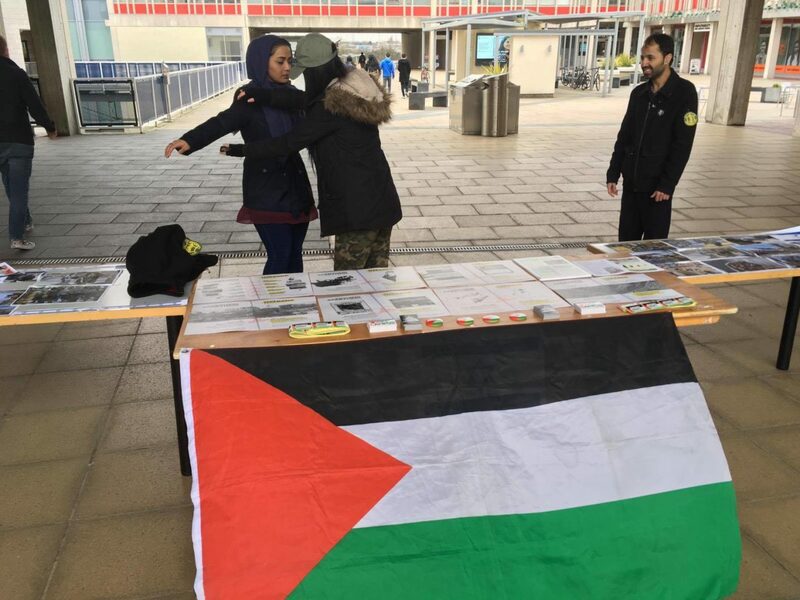 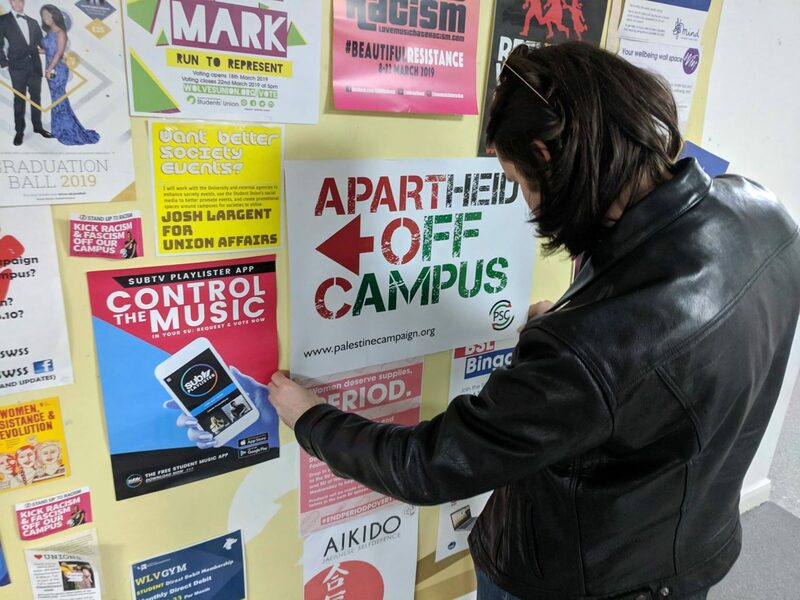 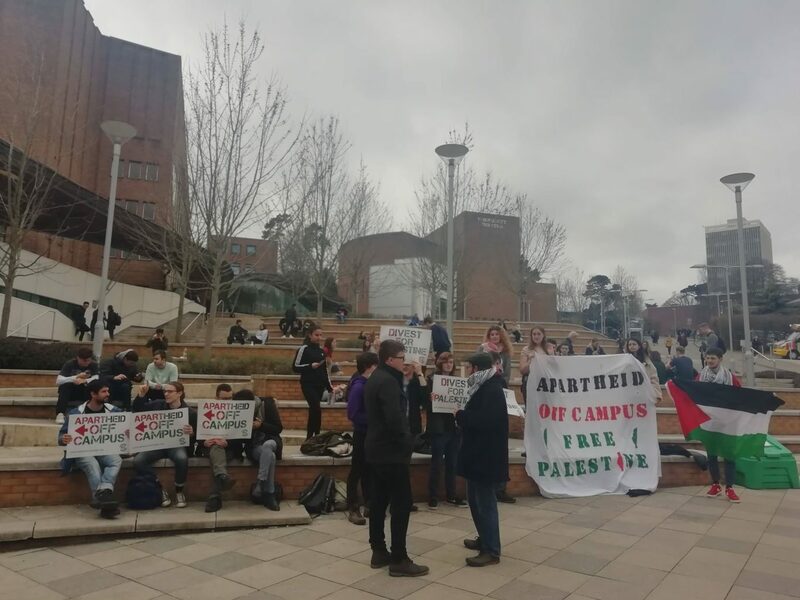 Students at Keele University have set up an interactive creative stall on their campus with an “apartheid quiz” to raise crucial awareness and get students engaged in their #ApartheidOffCampus campaign! 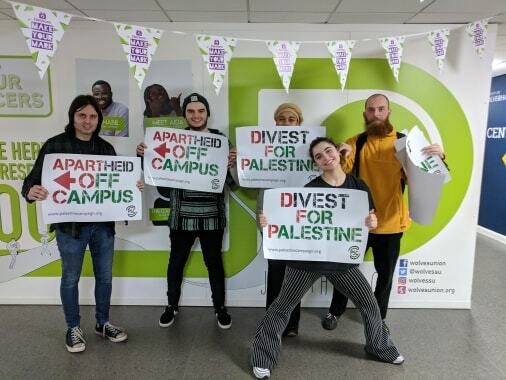 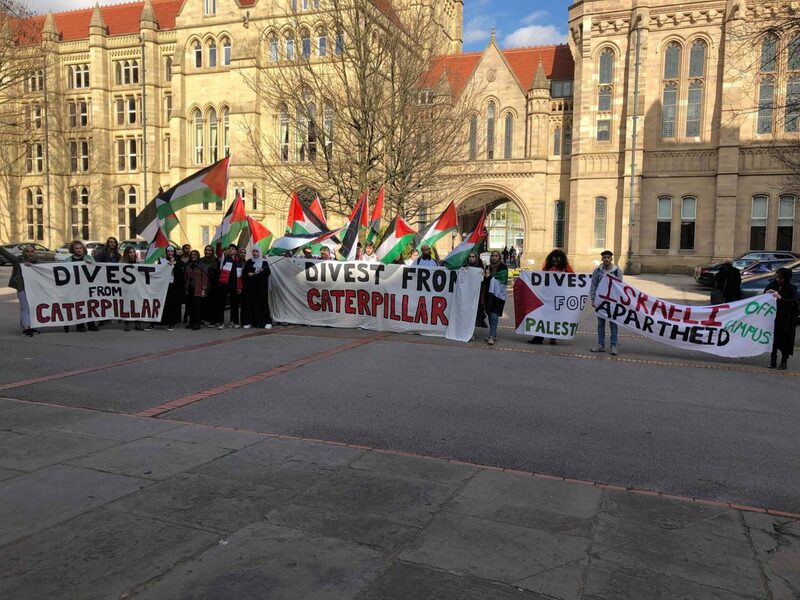 Context: UK universities remain deeply complicit with Israel’s apartheid regime through their investment and institutional links, despite many holding “social responsibility policies”. 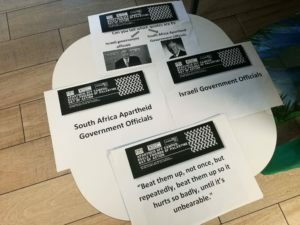 These policies often include restrictions on investing in companies who conduct business which leads to human rights violations. 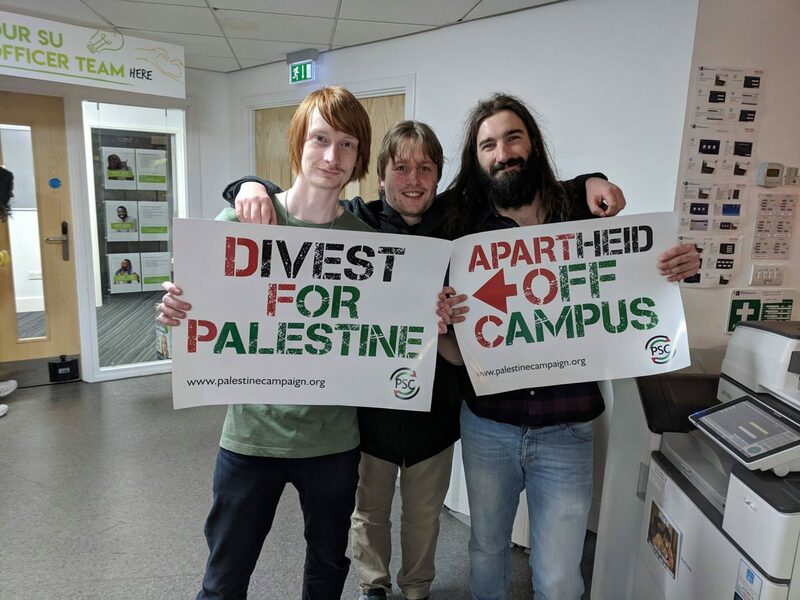 One example includes the University of Glasgow, who invest over £17 million worth of shares in companies arming Israel. 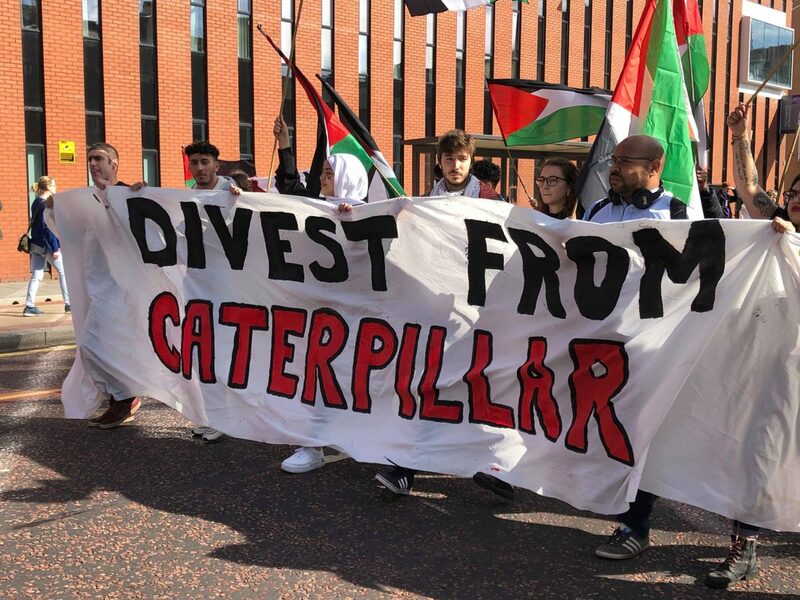 This includes investments in Caterpillar, who supply armoured bulldozers for the Israeli army, used to demolish Palestinian homes, schools olive groves and communities.